Every year, 220 million tons of waste are generated in the United States. Some eco-friendly brides want to do their small part by making sure that their wedding lessens that footprint. Here are some ways you can do your part to help the environment and still have an amazing wedding! Wedding Invitations: Many companies now offer wedding invitations made out of recycled paper or paper with seeds. They will usually cost a little bit more but are beautiful….especially if you use seeded paper that your guests can plant so they can enjoy the flowers for years to come! Another way to save postage and some trees is to forgo the RSVP card and ask guests to RSVP via phone or email. Flowers: Many florists use flowers that are imported or sprayed with pesticides. Do your part for the environment by using local or seasonal flowers. Instead of having large floral displays on the table, try using succulents or a small bush that guests can take home and plant after the wedding is over. They will last a lot longer than cut flowers will too! Transportation: Is your reception being held at a different venue than your ceremony? Think about getting some motor coaches or trolleys to transport your guests to the reception. This will ensure that nobody gets lost and will help your carbon footprint. 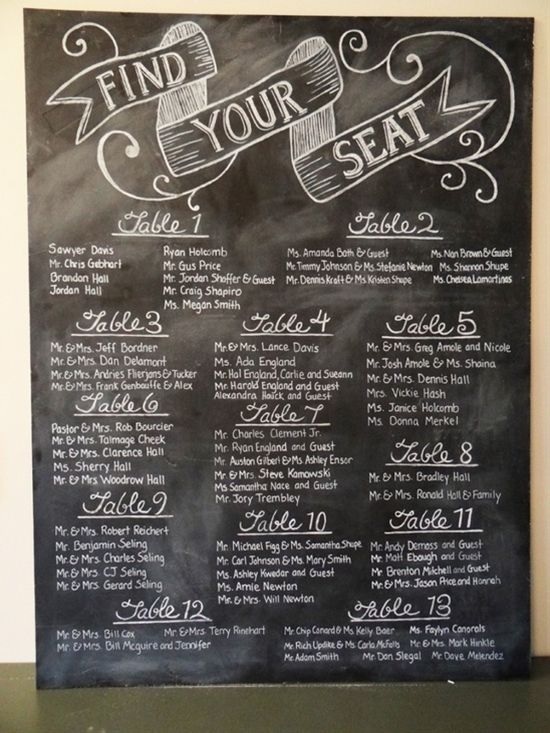 Seating Chart: Instead of individual place cards for seating, how about using a chalk board or vintage window to display your guest’s names and their table. Both can be re-used in your home! Wedding Favors: There are some really neat ideas when thinking about eco-friendly favors for your guests. 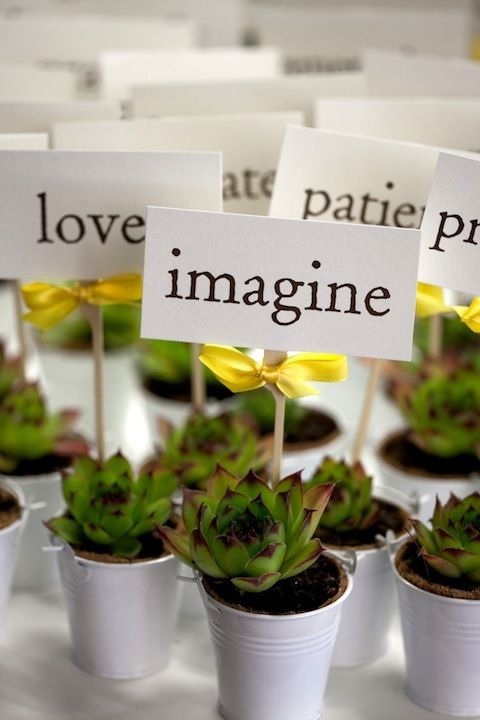 Flower seeds, succulents or potted plants, local honey, seedlings and homemade soap are all great examples of green wedding favors that your guests will love. 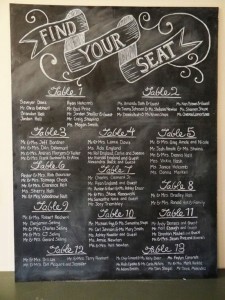 In addition, in leiu of favors, you could make a donation in your guest’s name to an eco-friendly charity that is close to your and your spouse (such as: The Sierra Club, The Nature Conservancy or the World Wildlife Fund). For more green-wedding ideas, visit our Pinterest page. To learn about weddings on St. Simons Island, visit our website.